Feels like forever… – …STILL CRAZY AFTER ALL THESE YEARS! …has been around like forever! As long as I can remember, it has been there but I never stopped by to see if there was anything good there even though my house is just around the corner. Maybe they added the word “new” to the name because it has been taken over by some new people, I wouldn’t know. I think quite a while back, I did see a lot of people eating the kampua mee there once when we went next door for lunch and yes, it did look good but to this day, I never dragged myself there to try. …and a nice and friendly lady came quickly and asked me what I wanted. She thought I was a Hokkien because I spoke to her in the dialect but I told her, no, I was a Foochow just that I could not speak the dialect all that well. For reasons unknown, we grew up speaking Hokkein at home even though my dad was Foochow and my mum was Foochow/Melanau. …from the lady and much to my delight, it was really very very good, almost as good as the out-of-this-world one I would have here so it sure looks like I do not have to wait till somebody’s birthday before I could get to enjoy something, not 100% as nice but pretty close. …especially when it was perfectly done with the yolk still soft and runny. 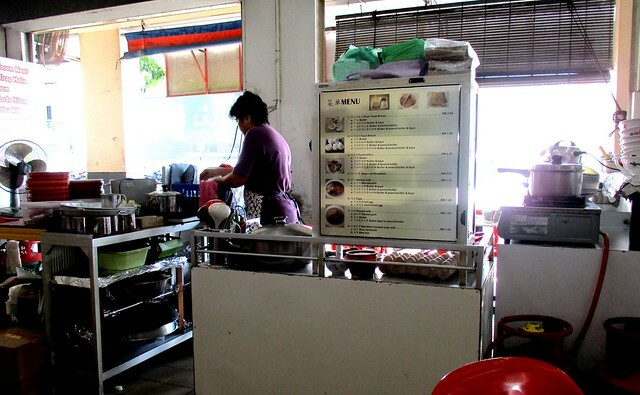 I guess it is confirmed now – the price has increased and a bowl of mee sua here would set one back by RM7.00, not RM6.00 or RM6.50 or anything less anymore but then again, what hasn’t? Even at RM7.00, I would say this one is worth the price especially when compared to the many not-even-half-as-nice ones around. I certainly would come back here should I feel like having this again. 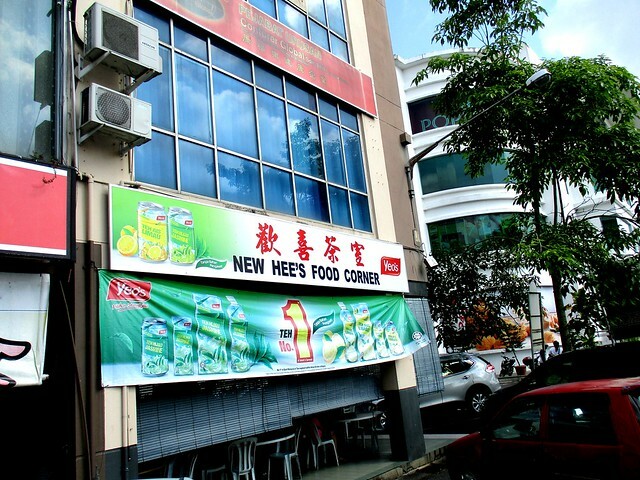 NEW HEE’S FOOD CORNER (2.311365, 111.846638) is located along Jalan Pedada, now Jalan Datuk Wong Soon Kai, the very first one in the block of shops to the left of the Delta Mall, with the Astro Sibu office at the other end of that same block. luckily those people handling the two stalls weren’t friendly at all, else you would have ordered food from them and not walk all the way to the 3rd stall and discover this tasty bowl of mee sua. Since this shop is so close to your place, you could eat this whenever you feel like it. True! True! I would not have got to know about this very nice mee sua here if I had gone for the kampua mee as I had intended initially. 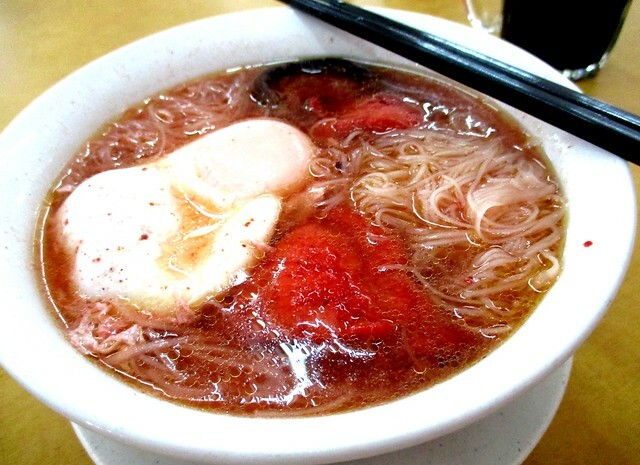 Very nice comfort bowl of mee sua. My kind of poached egg too. So near to your house and yet you never discover it, so near and yet so far. Yes, I might have dropped by before but I did not see anything nice – that was before I saw people eating the kampua mee, probably different people there at the time…and it sure took me a long time to go back there again. Old man, long life. LOL!!! 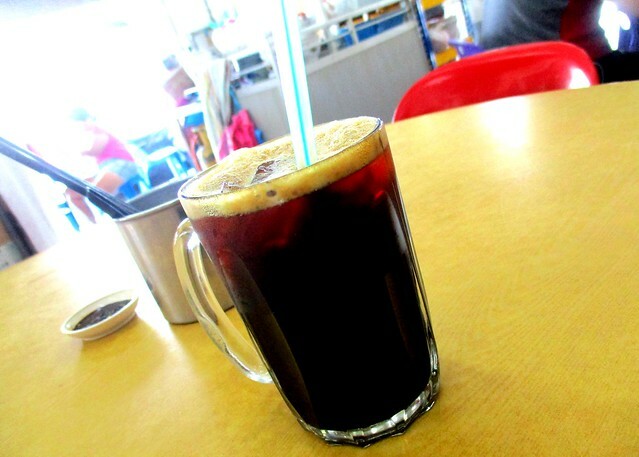 Mee suah looked good but I wouldnt take it with such hot weather. Sweaty me. Lol. But I do enjoy a good traditional Foochow mee suah. My homecooked is very diluted, lol. To cater to my youngsters’ taste. Yes, it’s very hot here too. Oh? Your kids like it diluted? Authentic Foochow maybe, not so strong on the ginger, no red wine. My parents liked it like that before, my girl enjoys it this way too. Oh, this is the coffee shop. I wonder is this the same coffee shop that my schoolmate own? His name is Hee too. If I am not wrong, we had kampua gathering here after our school visit few years ago. I dunno who the owner is. A lot of people eating the kampua mee. You can drop by and check it out. Must try the mee sua, very nice! It is not surprising anymore for a bowl like this cost RM7… over here in Ipoh, minced meat noodles cost RM8… 😦 and we still eat that when the cravings arise. Ah! They had that at the 2nd stall and bitter gourd bihun. I wonder how much that costs – maybe I can try that next time. Foochow red wine chicken soup looks delightful. The one I had here was very good, will certainly go back there again for more. 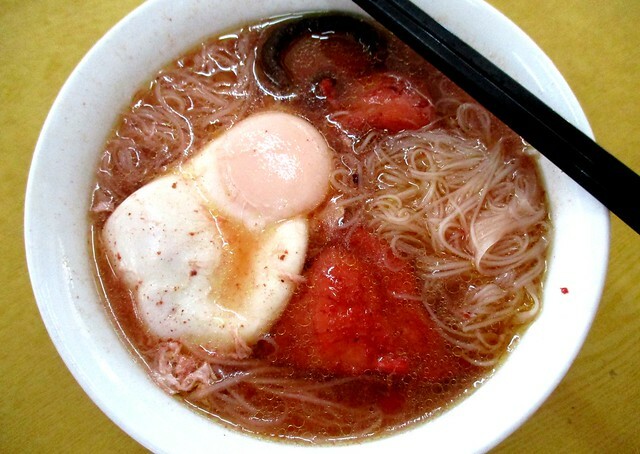 The mee sua sure looks good, my kind of comfort food and I would love that egg too! Yums! Like everything else, one must know where to go – this one, so far, is the best choice…in my opinion. Pingback: I wait for him… – …STILL CRAZY AFTER ALL THESE YEARS!